media: op-eds, blogs, videos . . . I am Associate Professor at the Department of Sociology. Prior to my appointment at the University of Warwick in the UK, I worked for a number of years in Australia. I pay my respects to the Indigenous nations of Australia for the learning/research that has taught me to interrogate the mechanics of differential yet interrelated forms of colonialism. Broadly my research lies at the intersections of Political Sociology, Critical Social and Cultural Theory, Critical Race and Whitness Studies, and Media and Cultural Studies. Insights learnt from solidarity with Indigenous quest for sovereignty in Australia continue to inform my interest and research in the area of sovereignty studies. My current research is concerned with the complex ways in which colonial sovereignty (i.e., the concern for expansion of territory and extraction of resources, biopolitical hierarchies of ethnicity, race, gender & caste and necropolitical dispossession) continues to structure the activities of postcolonial nation-states whilst they deploy the alibi of an anti-colonial history. This continuing coloniality highlights the need for re-envisioning political authority and the accompanying infrastructures of law and economy which regulate contemporary forms of life, death & politics through the nation-state form. Currently, I am Director of the Social Theory Centre, and the Director for Impact. During my tenure as Director of Undergraduate Programs (2014 - 2017), I revised Warwick Sociology's undergraduate curriculum, organising core modules toward a pedagogy of contemporary and historical race, gender & class concerns. Sovereignty and (Post) Coloniality in Indian-Occupied Kashmir: My current research explores the form of sovereignty underpinning the activities of postcolonial nation-states as an unsustainable European colonial legacy. Through an examination of the case of Indian-occupied Kashmir, I research the ways in which Kashmiri struggles for self-determination reveal the necessity of paying attention to the coloniality of postcolonial nationalism. The implications of this argument go beyond Indian-occupied Kashmir, and constitute an attempt to diagnose the ways in which current postcolonial nation-states continue colonial projects in relation to constructed hierachies of bodies and territories. This diagnosis forms the basis for reenvisioning other forms of sovereignty. Religio-Cultural Sovereignty and Nationalism - India: My monograph, Religious Freedom in India: Sovereignty and (Anti) Conversion (Routledge, 2013), and other publications address Hindu nationalism in relation to the struggle for religio-cultural sovereignty. This research examined the ways in which anti-conversion laws and campaigns (directed at Indian Dalit, tribal, Christian and Muslim communities) are constitutive of the Hindutva project as well as Indian secularism. Other dimensions of this research include the complicities between Indian secularism and the Hindu nationalism that can be witnessed in the Bombay cinema industry. I also drew on a transnational lens to discuss the ways in which deployment of state multicultural discourse in the US, UK & Australia often enable the violence of Hindutva diasporic activism against minoritized communities in India. The publications from this project are of interest to scholars and activists working on broader theoretical and political debates on (post) secularism, postcolonialism, religious minorities, sovereignty studies, and transnational Hindutva. The Critical Race & Whiteness, Gender, and Media Studies project was diagnostic in its attempt to understand how technologised forms of whiteness, race and gender regulate the Australian media sphere, the war on terror, and Australia/India transnational networks. I formulated concepts such as ‘media necropower’, ‘necropolitical complicities’, and a ‘normative somatechnics’ to diagnose the ways in which mediated biopolitical and necropolitical techniques of governmentality function in the context of a transnational colonial politics of the war against terror. Some of this research addresses the ways in which neoliberalism and mediated spatial/geographical differences produce celebrative moments of multiculturalism and disavowals of the hierarchies of race and colonialism. The publications from this research area would be of interest to scholars and activists working on Indigenous issues, the war on terror, and critical race, gender, media and whiteness studies. Whiting out the News: Governmentality and Discourse in Representations of Aboriginality on Australian Television News, my PhD dissertation from the University of Massachusetts, Amherst, USA, co-supervised in tandem with the University of Wollongong, Australia, initiated my research on Australian race, media and nationalism. Inspiration for this PhD began when I read the late Dr. Ruby Langford Ginibi’s (Bundjalung Nation) autobiography, Don’t Take Your Love to Town (1988), and Bruce Elder’s Blood on the Wattle (1988). The PhD examined Australian national televisual newsevents of significance to Indigenous peoples. These were characterised by ‘discursive mechanisms of censorship’ and a governmentality of Indigenous issues – i.e., absent Indigenous histories of colonial violence or constructions of Indigeneity through hierarchical spacetimes. 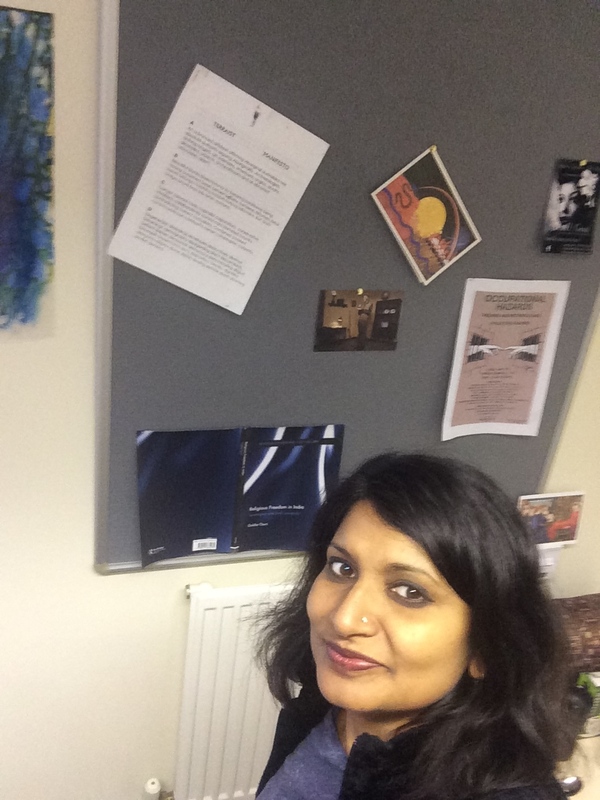 I have published in journals such as Third World Quarterly, Third World Thematics, borderlands e-journal Cultural Critique, Social Semiotics, Cultural Studies Review, Southern Review, Critical Race and Whiteness Studies e-journal, South Asian Popular Culture, Somatechnics, and Continuum: Journal of Media and Cultural Studies, and Media, Culture & Society. I was previously part of the editorial collective of borderlands e-journal and am now part of its international advisory board. I am on the advisory board for Social Semiotics and Somatechnics.